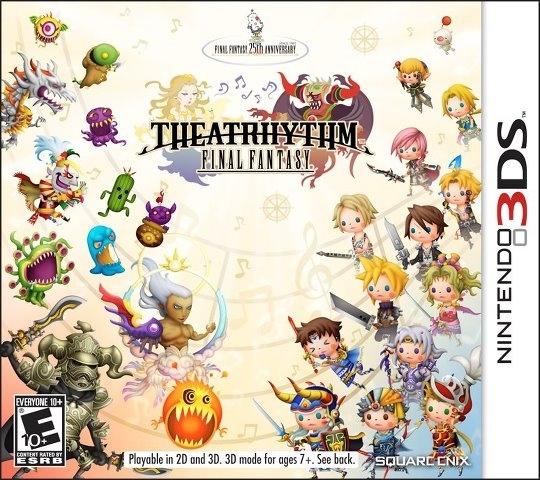 Theatrhythm Final Fantasy is a video game for the Nintendo 3DS. It's a "theater rhythm action" game in which players use the stylus to tap and hold notes while fighting enemies. The game features popular Final Fantasy songs and characters. In total, there are over 70 songs. They vary from songs from each final fantasy to extra unlockables that can be obtained from earning Rythmia. There are also 52 Downloadable add-on content to buy with each song costing £0.99/$0.90. very underrated and hugely addictive! square shipping more of these? !